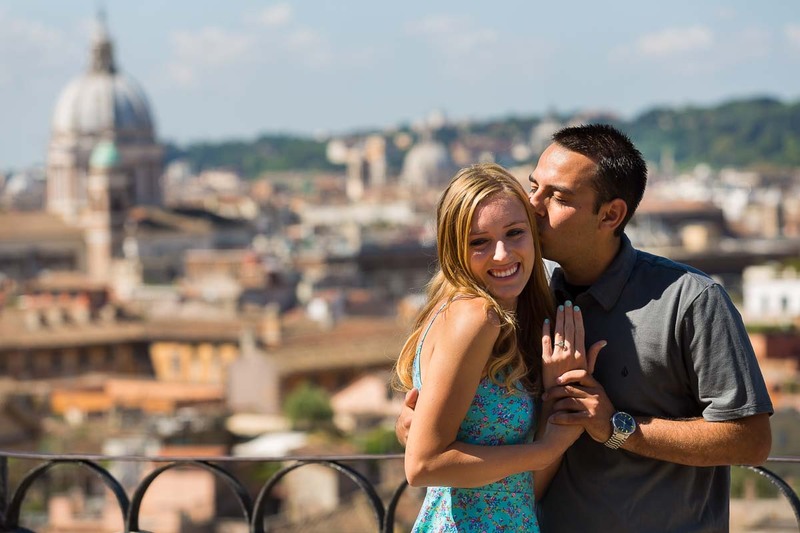 This wedding proposal took place at Parco del Pincio overlooking the sweeping view of Rome. I was ready to photograph as Bryan was handing Chelsea a map asking her to find out where to go next. 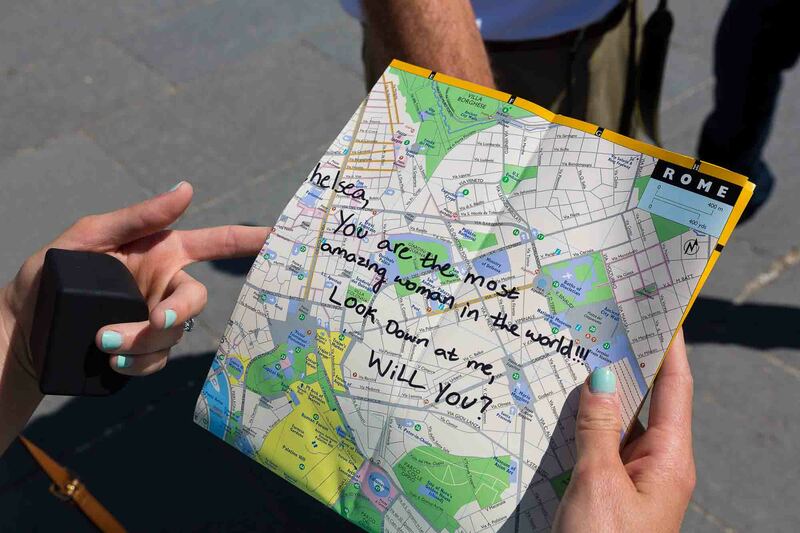 The map contained the cue for the surprise proposal. And as the map went down there was much joy and happiness with a great deal of surprise! After recuperating from the wonderful surprise we began a very happy and fun engagement photo session around the city. 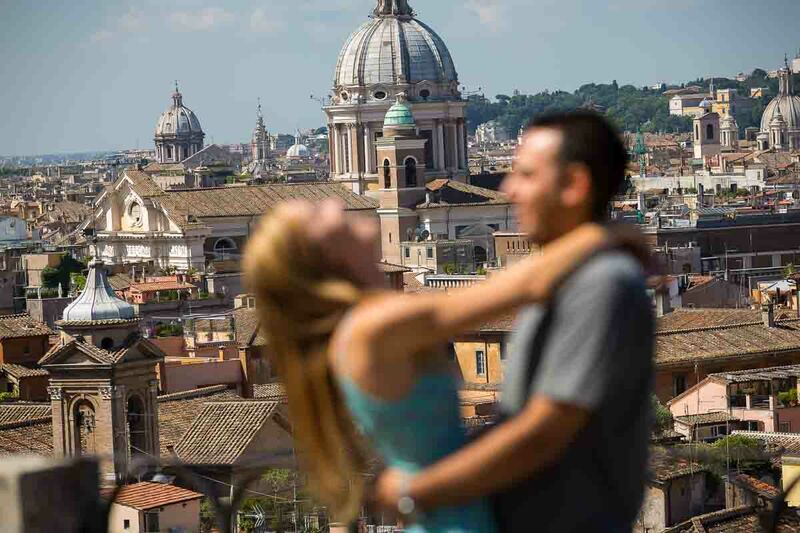 Starting with the view over Piazza del Popolo. We then took a minivan ride heading to Piazza del Campidoglio. 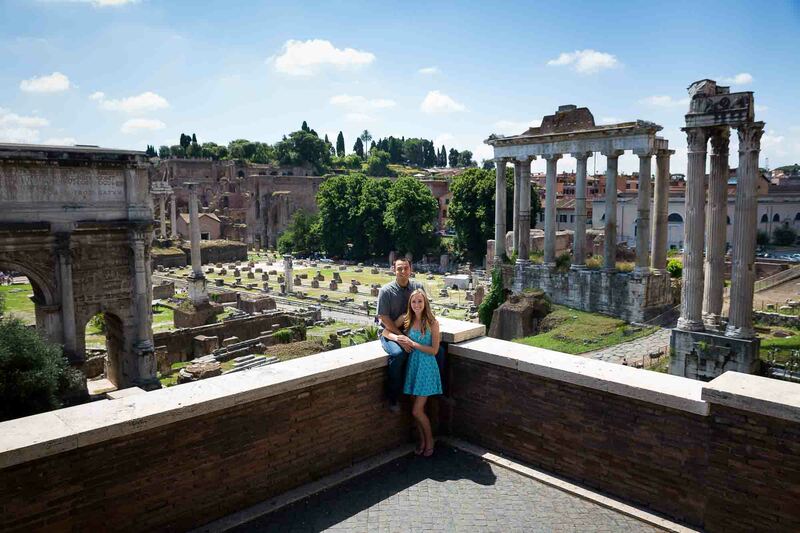 With a stunning view over the ancient Roman Forum. We walked around a little bit making the best out of this really good location. Packed with interesting photo opportunities. And there was much to choose from with inspiring columns, statues and stairs. Trying to find angles that would not frame the works that are currently undergoing on the external facade of the landmark. This is where we also took come nice group pictures and where the photo session ended. Thank you and wishing you all the best! 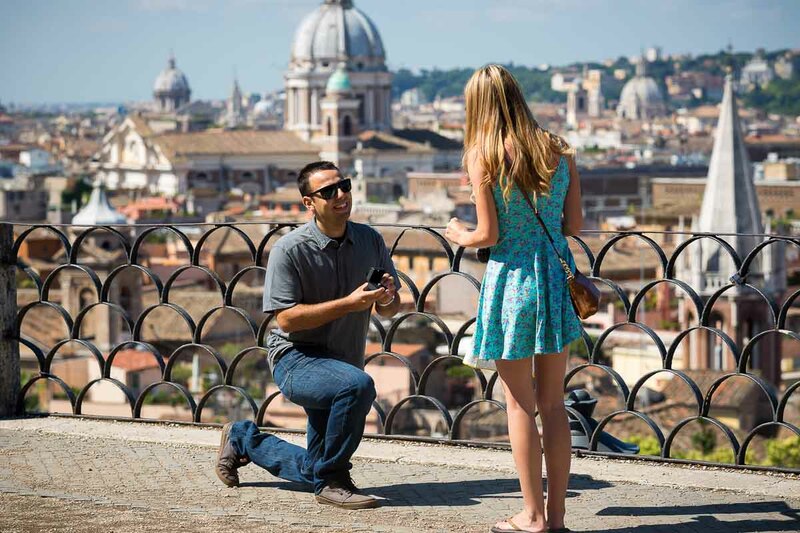 Find out more about setting a surprise proposal in Rome. Here are some more proposal photo shoots taken from the Blog. 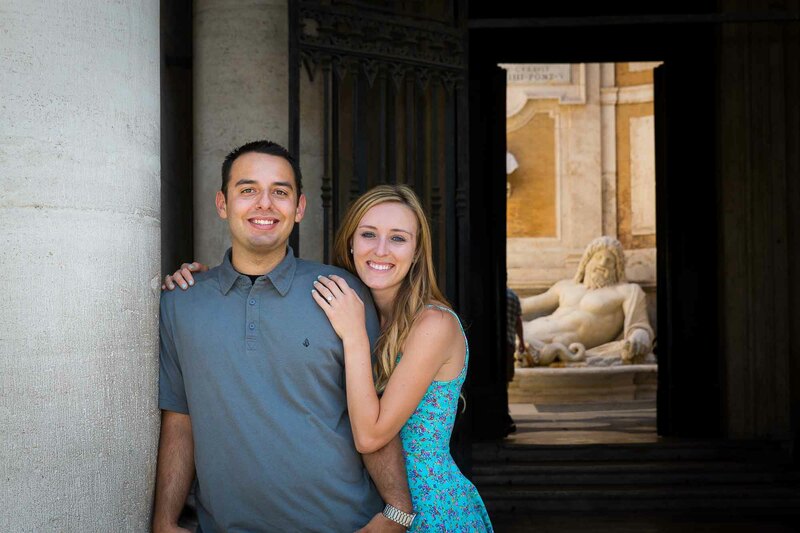 A marriage proposal taking place at Pincio park and following with a fun and joyful engagement session around the city by car.